Located on the Lincoln Highway less than 20 minutes from the Maryland state border, Gettysburg is arguably one of the most famous historic towns in America. The site of the Civil War’s infamous Battle of Gettysburg in 1863, the city today is diverse, modern and decidedly unpretentious. Like much of the surrounding area, the land that is now Gettysburg once belonged to the Iroquois Indians. The city’s roots were planted in the 1760s, and the town was formally laid out in 210 lots surrounding a central tavern and town square by 1786. Gettysburg remained small and primarily rural until the summer of 1863, when General Lee’s Confederate troops clashed with General Moore’s Union Army on the outskirts of town. The three-day battle that ensued is widely considered the “turning point” of the Civil War. The Battle of Gettysburg also saw the highest number of casualties of the War, more than 46,000. On November 19, 1863, the town became even more historically significant as the site of President Abraham Lincoln’s short but moving speech regarding national unity and sacrifice, known today as the Gettysburg Address. Gettysburg cuisine ranges from comfort food to American favorites and European-inspired pub fare. Lincoln Square is the heart of Gettysburg, and it’s home to local restaurant favorites such as The Pub & Restaurant and the Lincoln Diner. Also near the town center, you can eat like Samuel Gettys may have at historic Gettysburg restaurants including Garryowen Irish Pub and O’Rourke’s Family Eatery. The Dobbin House Tavern should be on the itinerary of anyone visiting Gettysburg who loves beer, pub food, and American history. Built in 1776, Dobbin House is considered the oldest home in Gettysburg. Brewing in Gettysburg is a tradition that dates back to the city’s founding. In 1761, Samuel Gettys established a tavern, and Gettysburg was built around the meeting place. Modern Gettysburg breweries such as Appalachian Brewing Company, which boasts two local brewpubs, and Battlefield Brew Works & Spirits keep the town’s heritage alive. Gettysburg is literally surrounded by history: Gettysburg National Military Park encircles the town and is open seven days a week. You can tour the battlefield on your own or reserve a tour with a Licensed Battlefield Guide. Major stops within the park include Little Round Top, Soldiers’ National Cemetery, and Devil’s Den. If you’re feeling adventurous, embark on a refined horse-drawn carriage tour or a spooky ghost and vampire tour for a unique perspective on the history of Gettysburg. Finish off your lesson in Civil War history with a stop at the Gettysburg Museum of History on Baltimore Street, or visit the Shriver House Museum, which illustrates the impact of the Civil War in the eyes of a civilian. If you’re looking for even more history-rich things to do in Gettysburg, head to Wills House. Outside the historic home where President Lincoln slept the night before giving his famous speech, you can get your photo taken with his life-size bronze replica. But Gettysburg isn’t just a haven for American history buffs. For a multitude of dining and shopping options, take the Lincoln Highway north towards the Gettysburg Marketplace and Gateway Theater. If you’d rather stay close to downtown, you have plenty of shops at your disposal, from art galleries to fireworks depots and even a paranormal equipment and supply store. 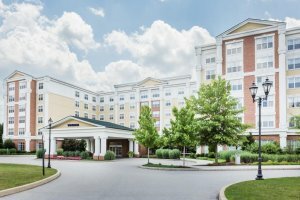 Lodging options in Gettysburg range from nationally recognized chain hotels to historic converted houses, including the aforementioned Dobbin House, which doubles as a bed and breakfast. 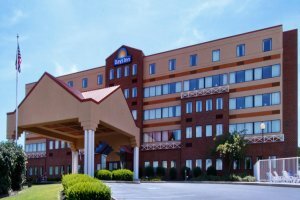 If you’re looking for Gettysburg hotels near the battlefield, choices include Best Western, Comfort Suites, and the Inn at Cemetery Hill.